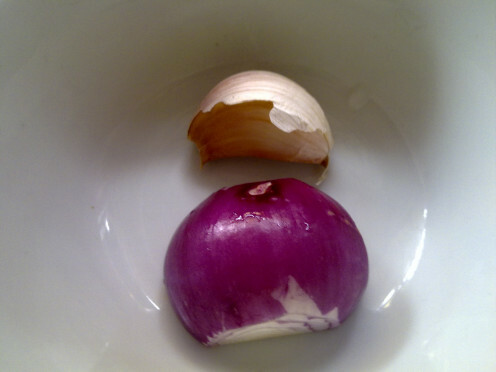 Raw onion has lots of allicin which releases the pungent smell and spicy taste. 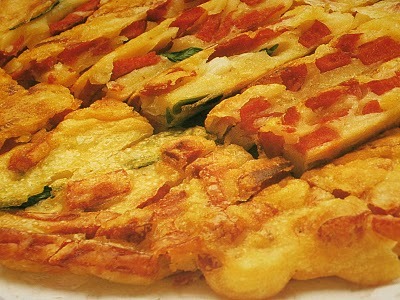 Therefore, patients who have heat lungs, stomach, tuberculosis, stomach ulcer or duodenum ulcer should not eat to often. 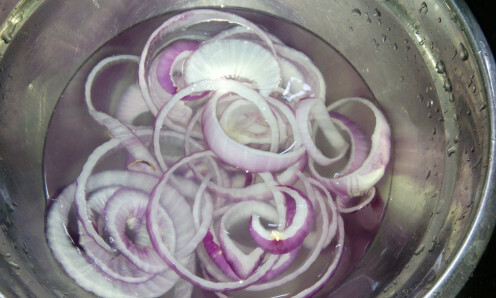 In order to reduce the onion pungent taste and smell, you can add vinegar and sugar to your dishes. To remove the bad breath, rinse your mouth with lemon juice mix with water. I love them in stir fry red onions with tender beef and lots of freshly chopped spring onions. You don't have to buy spring onions at the market. Just place the red big onions on your kitchen window still and allow it to grow tiny shoots for several days. Then, dig up the soil and plant it but don't cover up the whole bulb. Leave a little space for the top onion and shoots visible on the surface of the soil. Water it daily and you will find facinating little green shoots to grow into a dozen of tall spring onions in a week! 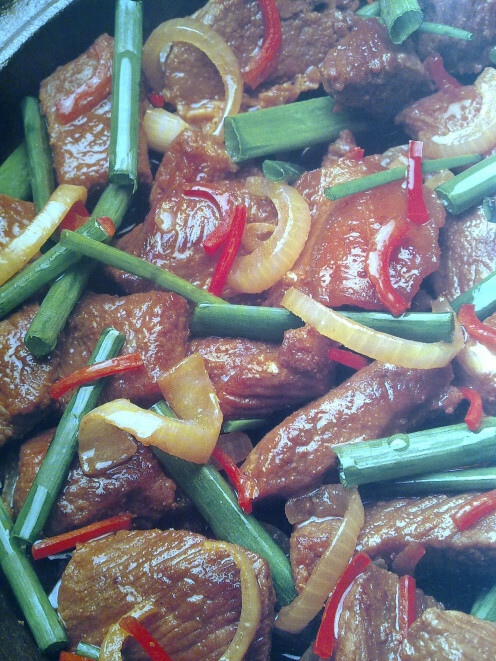 The first recipe is a simple stir fry onion recipe that quickly cooks up a delicious main dish for meat consumers. A great combination with fresh beef fillets, slices of red onions, ginger, garlic, spring onions and you could opt for freshly chopped red chillies to add in a little spiciness to this onion dish. 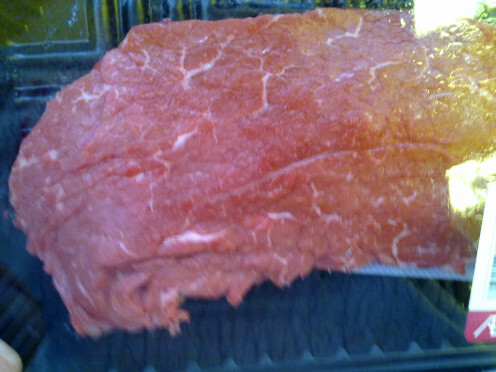 Just make sure that the beef are cut into smaller pieces in order for the meat to cook quickly. Wash the beef fillet. Cut into thick strips. Add marinade and leave it for half an hour. Heat 3tbsp oil. Stir fry beef until cooked. Set aside. Stir fry shallots and onion until slightly browned. Put back the beef into the wok. Add in spring onion and seasoning. Stir for a couple of seconds. Serve hot. 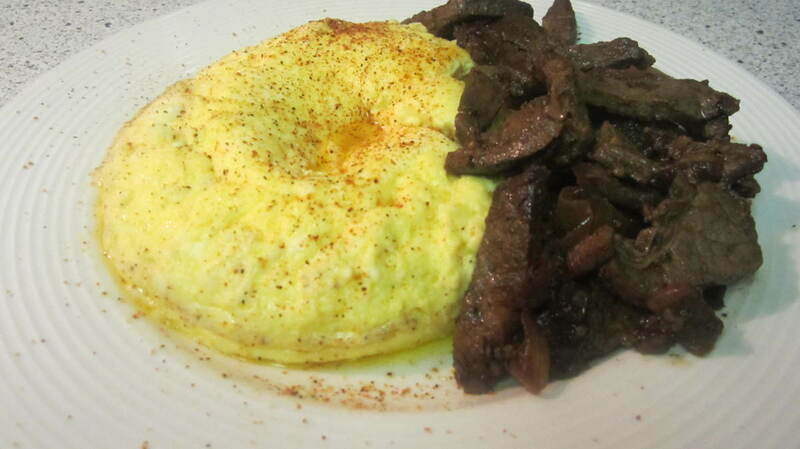 I love scramble eggs but having it often can be a boring recipe. How about mixing with different ingredients for a change? Hence, I picked out some left-over hotdogs from yesterday's supper in the fridge. This is a brilliant idea, strips of hotdogs, chopped spring onions and slices of red onions mixed together with 2 beaten eggs. 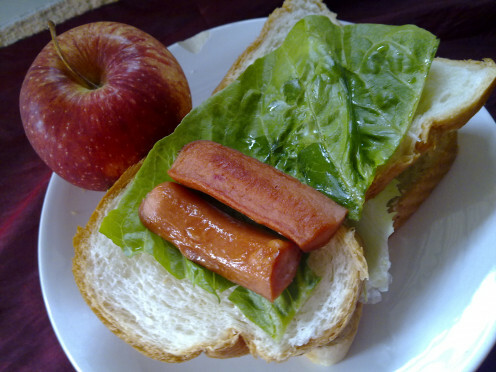 A well balance healthy ingredients pairing with left-over hotdogs, stir fried until crispy and brownish. 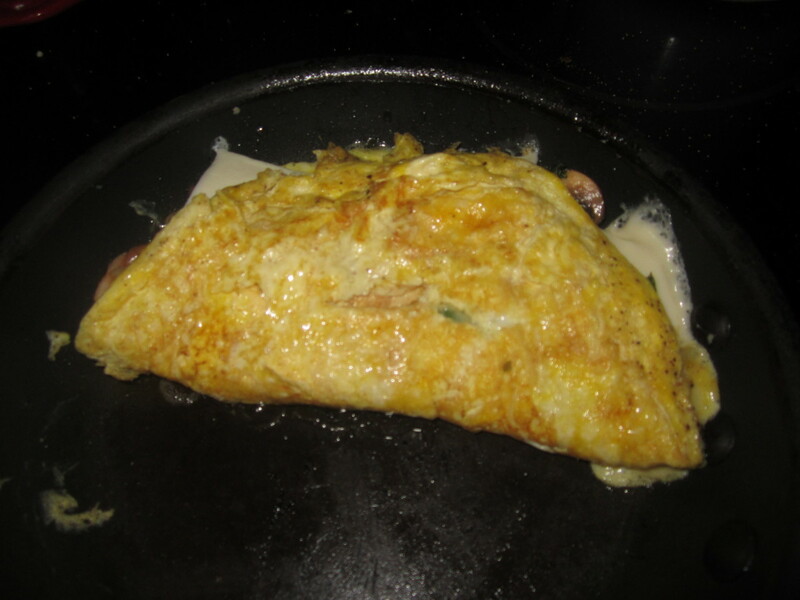 This is a very simple egg recipe you should try out for side dish or supper. Just slice hotdogs into strips, cut into several sections. 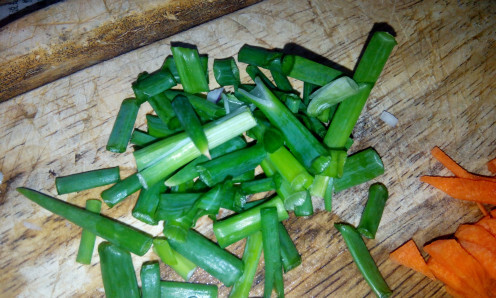 Chop a handful of fresh spring onions plus chop red onions. Throw in everything into 2 beaten eggs in a bowl. Sprinkle a little salt and pepper if you desire. Onions and Hotdogs with Scrambled Eggs is really a good combination with white rice or porridge. Sometimes, I even had it plainly for midnight snack. Fry 1 slice of hotdog and remove. Beat 2 eggs into a bowl. Sprinkle in pepper and salt. Stir in sausages, chopped spring onion and chopped onions into the eggs mixture. Mix well. Heat a frying pan. Add 2 tbsp of oil. 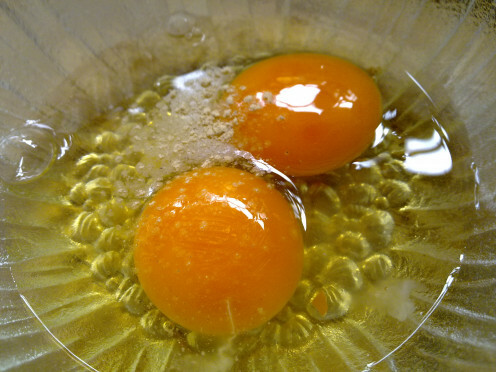 Beat the ingredients well before pouring in the eggs mixture into the frying pan. Swirl the pan in order to spread out eggs. Fry until crispy. Flip over the fried eggs. 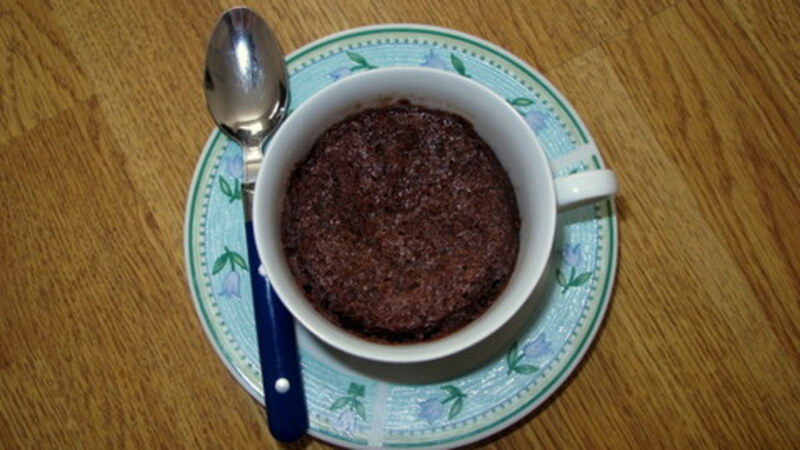 Once the edges turn crisp and brown, turn off heat. 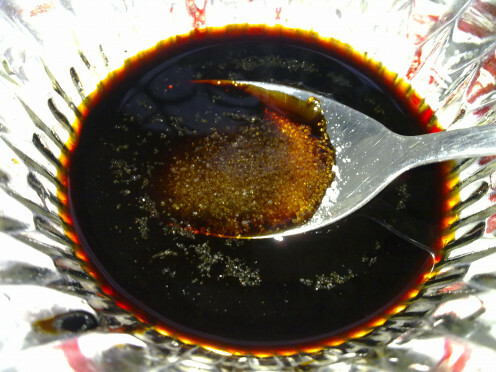 Remove and soak up excess oil. 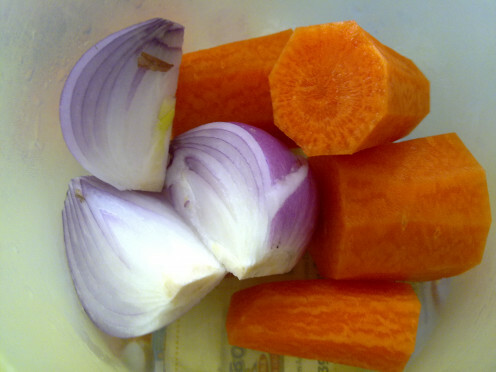 Onion contains protein, vegetable fibers, calcium phosphorus, iron, vitamin A, B1, B2 and C which is higher than spring onion. The bulb of an onion is made up of several layers of scales. These scales are usually white in color. 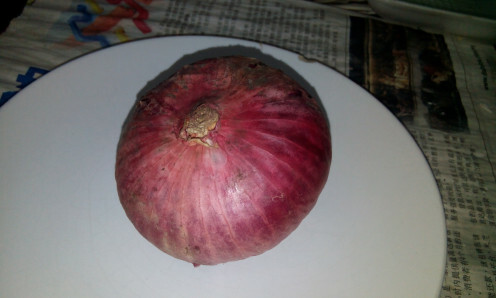 The main shiny coat of the layers are either in pinkish red or purple color , depending on the country origin of the onions. 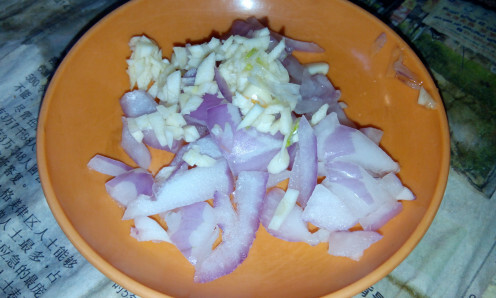 Raw onions contains extremely high in allicin, a sulphuric property that relieves a pungent smell that could put off anyone and produces watery eyes when you chopped them up. 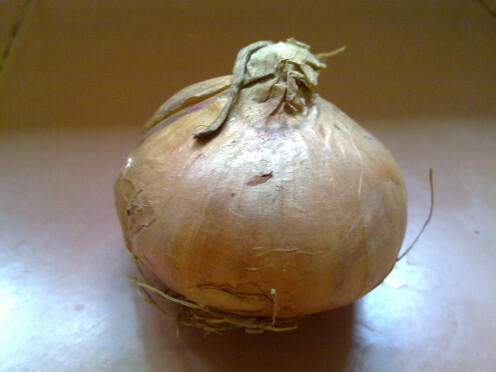 Onions also produces strong oral odor and smelly farts released as the onion helps our stomach digestion quickly. I love onions. Think they're my favorite veggie of all. Love them fried, boiled, caramelized, or raw. 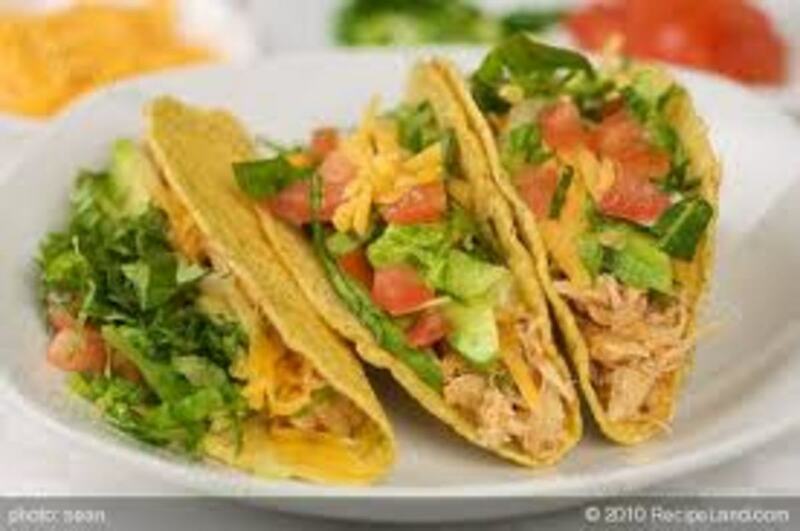 They're one of the best things one can eat for health, too. Those dishes look great, especially Fried Beef Fillet with Onion, Spring Onion and Shallot. 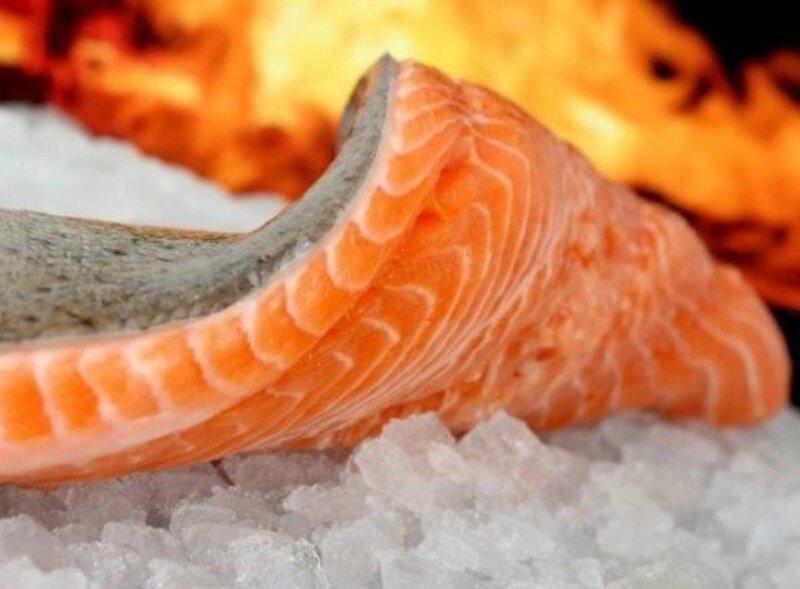 I want to cook that one night, so I added it to my list of recipes. eating raw onion, gonna take you lots of courage. Maybe by pinching your nose would help. 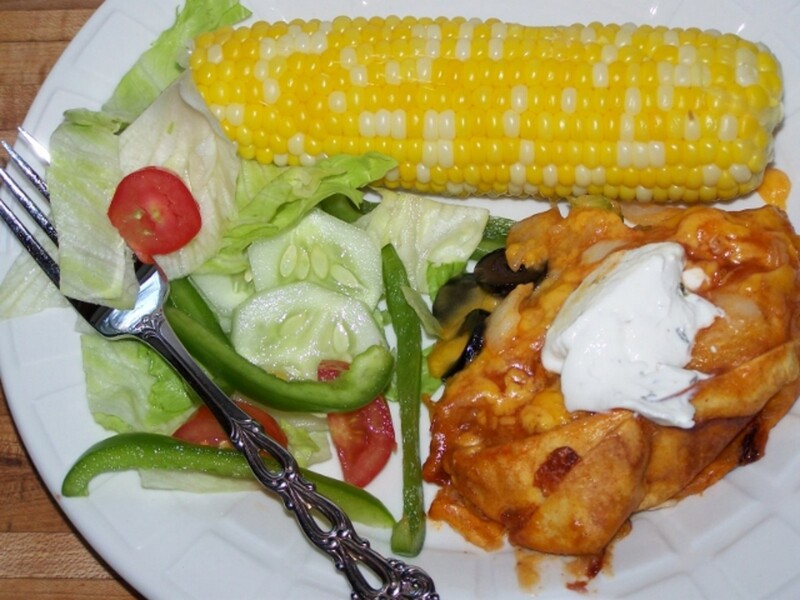 Thanks for sharing the great recipes and health benefits of onions. I knew they had some anti cancer properties but didn't realize they had all the other health benefits. I enjoy them cooked and probably will never be able to eat them raw. Voted up!